SEDAC Energy Management provides both metering equipment and metering services. and at what times the consumption levels increase and decrease. SEDAC Energy Management can also help clients interpret and act on their energy metering data with the energy monitoring service, the Continuous Review Process . What is Metering Data Used For? Why does Live Metering Matter? Do you wait to get your electricity bill each month to see how much electricity you used and how much it will cost? We call this rearview energy monitoring, and it costs you profits you could protect and prevents you from investing in the best energy efficiency measures. Your electricity bills do not tell you when and where you waste electricity. Any business can receive a shock when they get a high electricity bill- don’t let that business be yours! Live Data Lets You Protect Your Profits. Take Control of Your Energy Use. Click here to see how you can Protect Your Profits with SEDAC EMS. The SEDAC Energy Management System (SEDAC EMS) lets see your electricity consumption live, so you know when something is wrong. Equipment damage or staff behavior often causes electricity consumption to creep up, but you cannot see the consumption increase (and the money it’s costing you) without a live metering dashboard. With SEDAC EMS, you know if your HVAC is using too much electricity because a fan is damaged or if the refrigeration consumption is up because your staff is leaving cool room doors open. 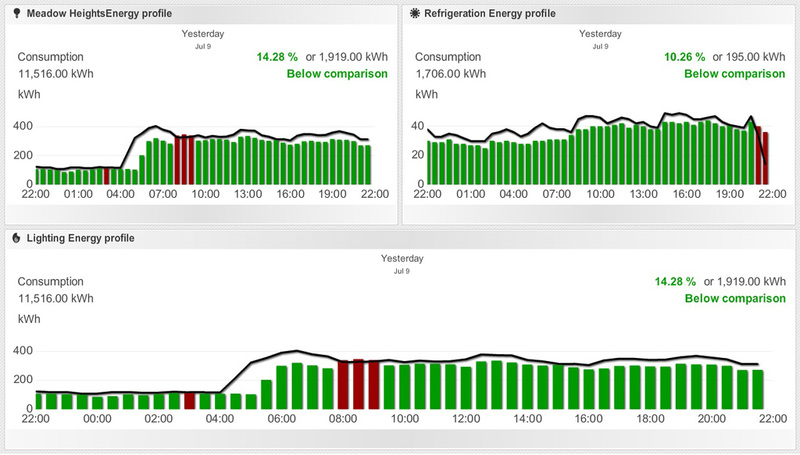 The SEDAC EMS is also able to display sophisticated consumption data for power, refrigeration, water and gas as well as related data such as outdoor and indoor temperature. With this information, you can find where you waste energy, and you can choose the best energy efficiency to stop the waste. Invest wisely with financing, and energy efficiency can quickly become a cash flow positive investment for you. Meter Data shows when controls are overridden. Meter Data helps with maintenance. If you are interested in the SEDAC Energy Management Metering Services or Equipment, contact us today!